(West Palm Beach, FL) Susan W. Haikalis, President of the Orthodox Christian Laity, finds Michael Jaharis’ (Vice Chair of the Archdiocese Council) overview on the State of the Greek Orthodox Archdiocese, an essential starting point for assessing and re-evaluating the administration of the Greek Orthodox Church in America, the education of the clergy for our future and the assimilation of monasticism into an organized structure of the Church. These issues are especially relevant in the context of looking to a time of administrative unity of Orthodoxy in the United States. Mr. Jaharis has put before us some issues that need the serious consideration and input, in an organized process, by all members of the Church body who are participants in the sacramental life and stewardship of the Church. 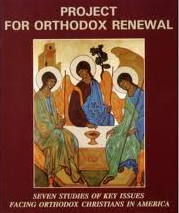 He has opened the door that can lead to meaningful renewal of Orthodoxy in America. The operational infrastructure that he mentions in this talk needs to take into consideration the Chambesy directives issued in 2008 by the Patriarchs in traditional Orthodox Lands to develop a blueprint for a unified Orthodox Church in the United States. A critical assessment of the administration of the Greek Archdiocese, if it is to maintain a leadership role, must be seen from this inclusive perspective. A major focus of this leadership role is to create an institutional framework that supports programs to help us retain our children and future generations within the faith. This should result if resources within the Orthodox Christian faith community are combined to avoid waste and duplication. The challenges are many but the opportunity has been given to us, by the Patriarchs, to advance Orthodoxy in the United States. Do we have the leadership, vision and will to create this blended infrastructure? Orthodox leaders in all jurisdictions only have to look at the census statistics of baptisms, marriages and funerals, and address the no growth – really the decline – of our Church life in the United States. 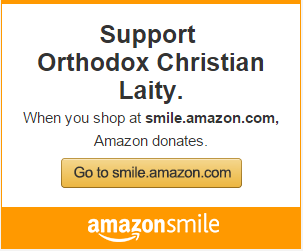 OCL applauds Mr. Jaharis’ evaluation as a beginning step in the renewal and unity of Orthodoxy in the United States and is willing to work with him and all other lay leaders of all Orthodox Christian Churches and affiliated organizations to build the necessary administrative infrastructure which will support the renewal of Orthodoxy in the U.S. What a wonderful opportunity to add the strengths and skills of our members as we work in unity to grow our faith in America. Contact George Matsoukas, OCL Executive Director: 877-585-0245 or ocladmin@ocl.org.